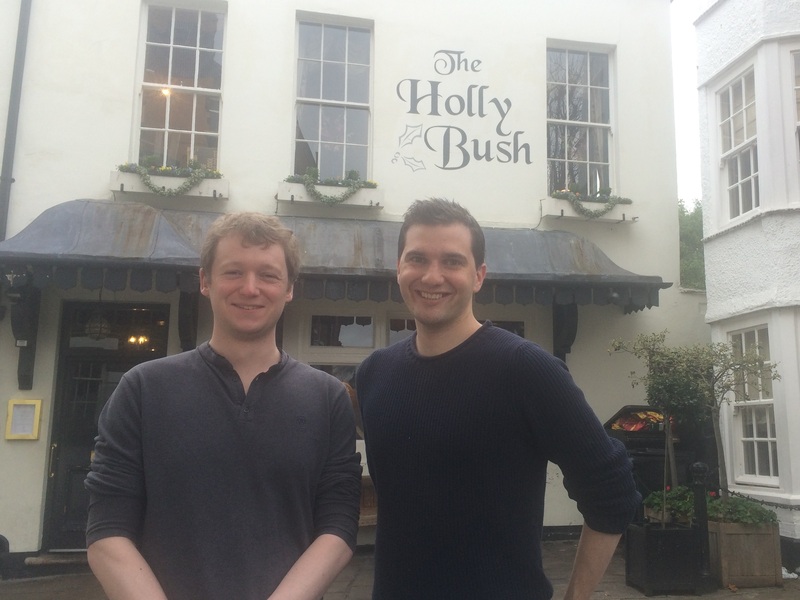 I’m delighted that the brilliant Holly Bush pub on Holly Mount has received protection as an Asset of Community Value (ACV) as part of a campaign to save all of Hampstead’s pub. I love the Holly Bush – an authentic traditional-style pub, beautifully preserved, in the heart of Hampstead village. I find myself there at least once or twice a month (although that can be said of a few pubs in Hampstead!). The good news for people that love the Holly Bush is that this ACV status makes it harder for developers to change it into anything other than a pub. This is the first in a wave of applications submitted by the Hampstead Forum and backed by me and the Camden Conservatives. In the coming days, we’ll hear back on the applications regarding the Duke of Hamilton on New End and the William IV on Hampstead High Street. My ward colleague Tom Currie – pictured above celebrating with me at the Holly Bush – has worked closely with the Hampstead Forum on this. The Conservatives proposed a motion at Camden Council in June calling for all of Camden’s pubs to be awarded the status and backing the Hampstead Forum’s campaign to list every pub as an Asset of Community Value. Sadly, the Labour Group amended the motion removing these points, but Tom and I are delighted to back the Forum’s campaign nonetheless. We’re even more delighted that its campaign is coming to fruition, and are looking forward to the rest of Hampstead’s pubs being awarded the status. Cheers!